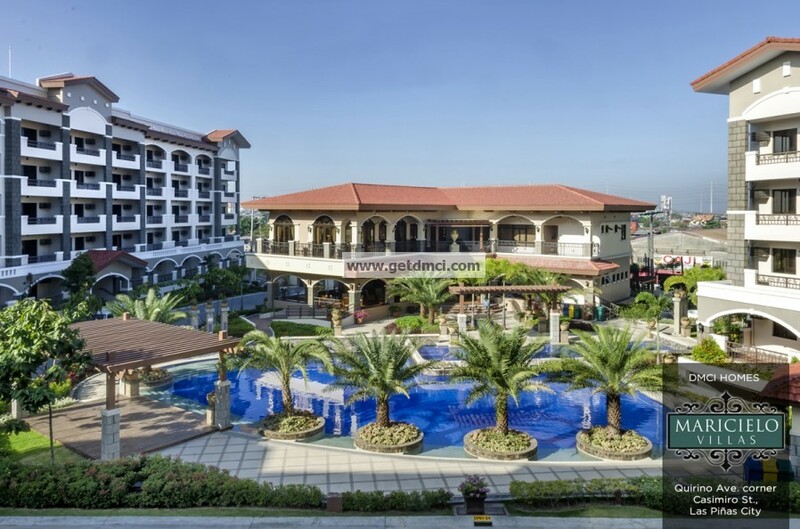 Las Piñas is reliving its colonial past in modern fashion through Maricielo Villas, the city’s only Spanish-themed residential resort community built by triple A property developer DMCI Homes. Maricielo Villas’ five mid-rise residential buildings are all finished and ready for occupancy after just under two years of construction. Their Spanish Mission architecture also complements Las Piñas’ famous Spanish landmark, the St. Joseph Church, home of the Philippine Bamboo Organ. 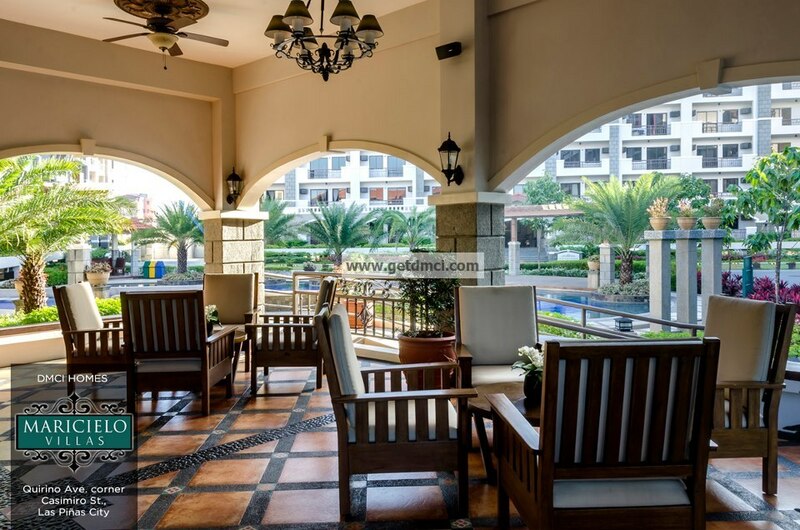 In combination with DMCI Homes’ innovative building design, Maricielo Villas gives its residents a mixed experience of the urbane and classical. 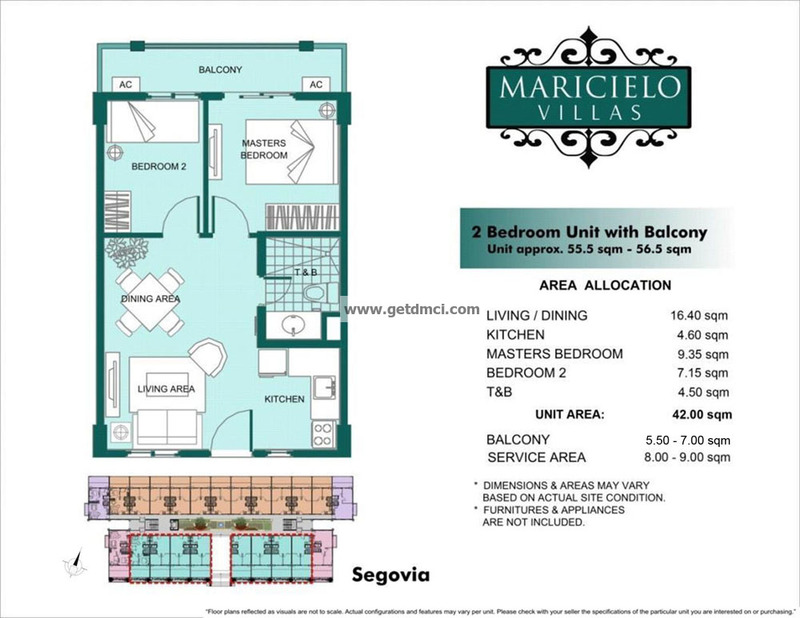 The Spanish ambiance of Maricielo Villas is projected by the names of the five-storey Sebastian, Segovia, Pontevedra, Madrid and Almeria that comprise the community along Quirino and Casimiro Avenues. The condominiums, clubhouse, gateway and perimeter wall feature synthetic adobe blocks and arched entryways that recreate the distinct Spanish Mission style. Beyond the aesthetics, Maricielo Villas provides a rich and healthy lifestyle for startup families, couples or professionals through its elegant and functional 2-bedroom and 3-bedroom units, tropical landscape and a host of modern amenities and facilities. 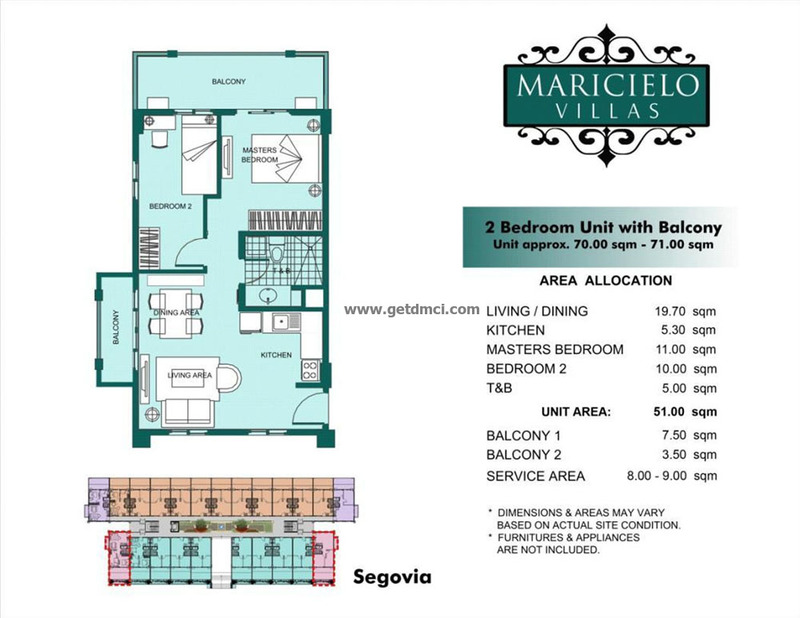 Maricielo Villas units range in size from 42.5 square meters to 87.50 square meters for space and comfort. All units have a kitchen, toilet and bathroom, dining and living areas and balcony with 3-bedroom units having two balconies. The units have elegant finishing as well as provisions for window-type air-conditioning, cable TV connection, telephone line connection and smoke detectors. Units open to single-loaded corridors and breezeways, both signature DMCI Homes design that allows for natural ventilation and lighting. On the ground floor of each building is a garden atrium and the basement serves as a parking area. Each building is also served by an elevator. 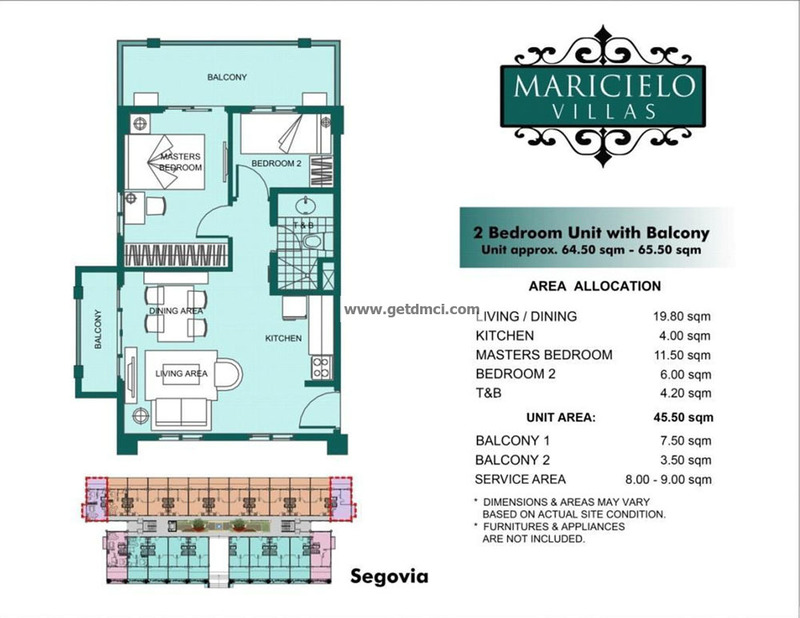 With its swimming pool, pool deck, gazebo and pocket garden, living in Maricielo Villas is like vacationing in a resort. Clubhouse features also promote a healthy and relaxing lifestyle. Resident families can entertain guests in the lounge, enjoy singing with friends in the entertainment room or hold parties in the function room. Fitness buffs can build muscles in the gym. Boys and girls can play billiards and darts in the game room. 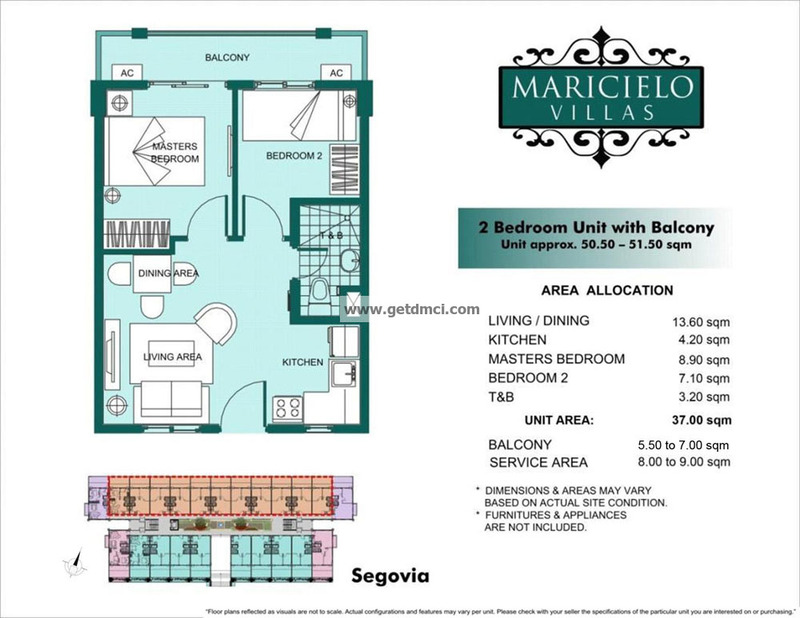 Maricielo Villas is a secure community. There are electrified perimeter fences, 24-hour security service, CCTV cameras in strategic areas and roving security guards. Common areas are maintained by staff from the Project Management Office. The staff also assists homeowners in setting up their utility connections and addresses unit concerns. Other facilities available are a laundry station, laundry service area and garbage holding area. 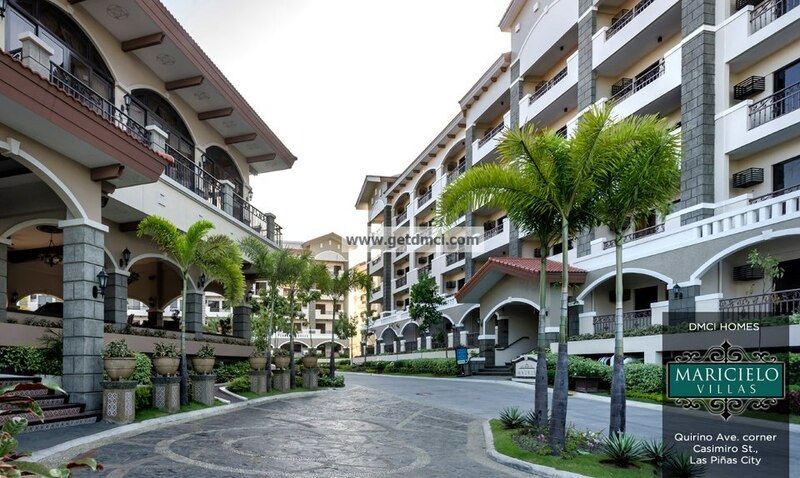 Maricielo Villas is located in one of the best spots in Las Piñas giving homeowners the added convenience of being near main roads, shops, malls, schools, hospitals and churches. 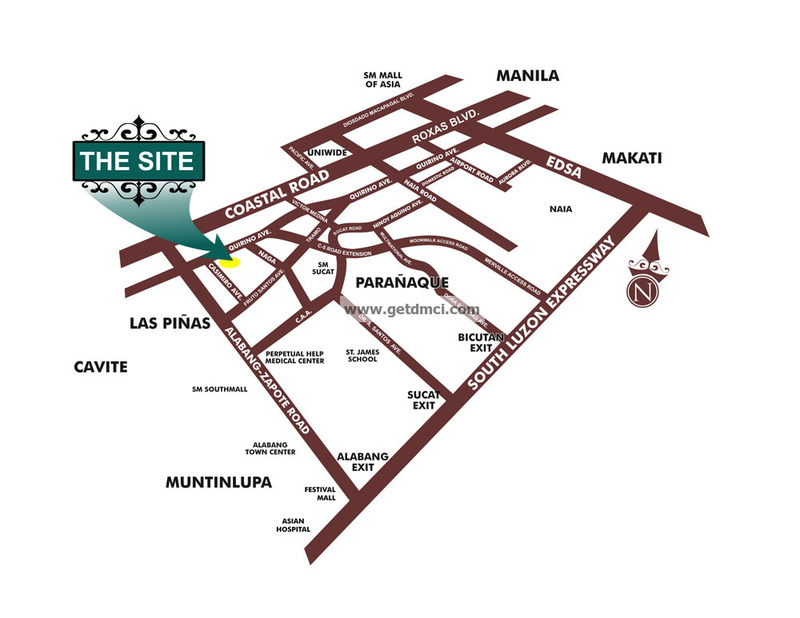 Cavite and Manila can be reached via the Cavitex, Alabang via the Alabang-Zapote Road and Baclaran via Quirino Avenue. 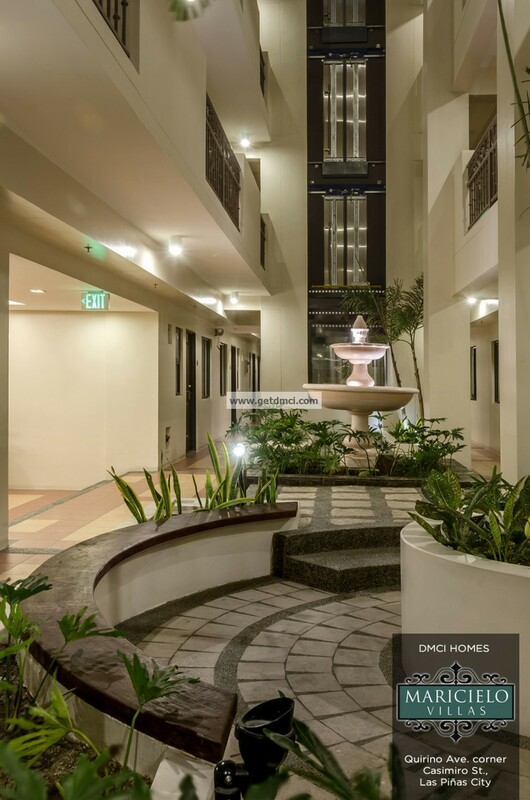 DMCI Homes is a company of innovative builders and engineering experts that develop modern day living solutions for urban families. Each of its developments is built with world-standard craftsmanship borne from almost 60 years of expertise in the construction and development industry. Its corporate philosophy is anchored on a deep understanding that buying a home is more about investing in a better way of living. Thanks to feature-rich, ideally located communities, residents can finally enjoy a more comfortable and meaningful way of life where they can feel real good to be at home. 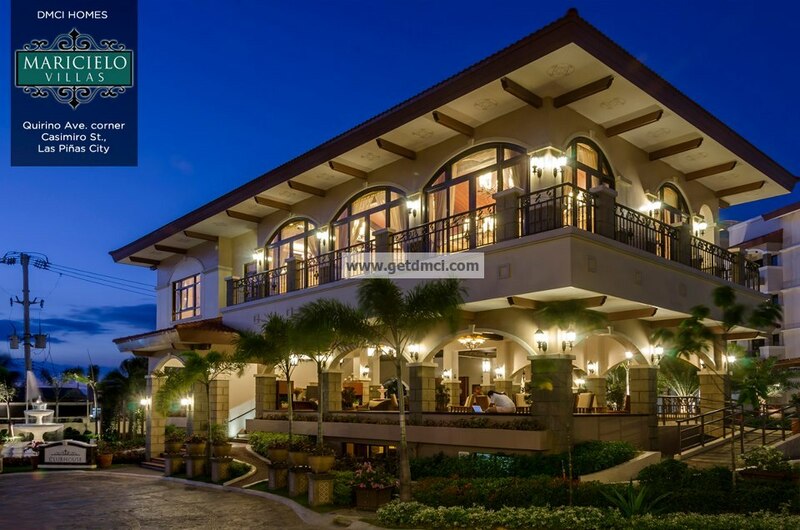 Maricielo Villas bears the DMCI Homes Quality Seal, which represents its commitment to deliver homes that are built to last. Your new home is subject to their proprietary quality management system, and comes with a 2-year limited warranty*. 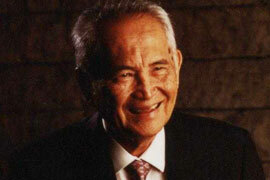 * Property developers typically provide a one-year warranty. 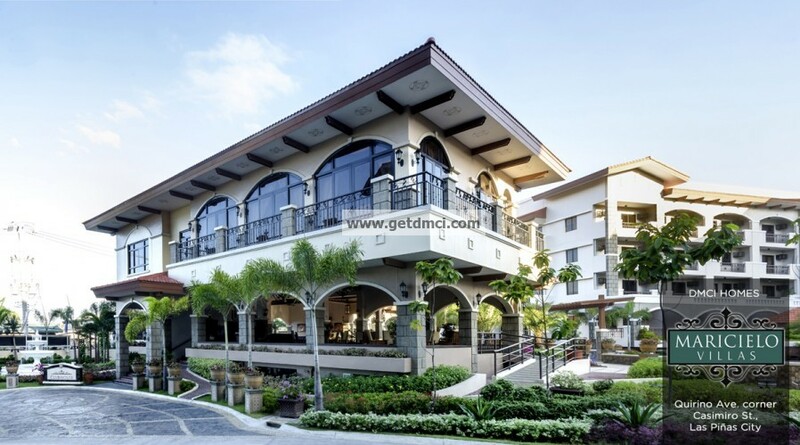 DMCI Homes’ 2-year limited warranty covers most unit deliverables, except operable items subject to daily wear and tear. Terms and conditions apply.